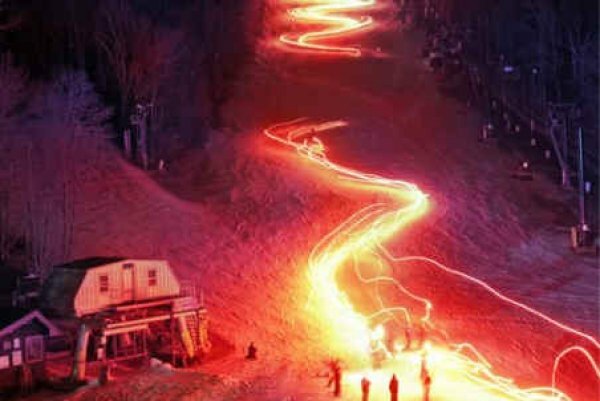 Home Photos Several Ski Areas Plan Torchlight Parades for New Year’s Eve! This photo from Appalachian Ski Mountain from last New Year’s Eve shows the awesome spectacle that some of the ski resorts of the southeast and mid Atlantic put on each season. Ski resorts will be enjoying a great New Year’s Eve of skiing before a little light rain comes in New Year’s day. The cold and snow returns to the forecast as we enter the New Year. Previous Post Snowshoe Mountain Looks Awesome for Holiday Skiers and Snowboarders! Next Post Blowing Rock North Carolina’s Blanket of Snow is Disappering!